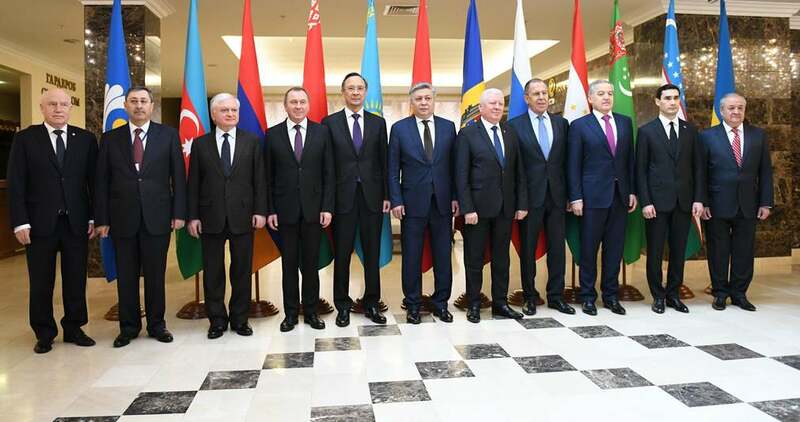 ASTANA – Kazakh Foreign Minister Kairat Abdrakhmanov briefed the Commonwealth of Independent States Council of Foreign Ministers April 6 in Minsk, Belarus on Kazakhstan’s initiatives on regional security and development, denuclearisation and confidence building. Abdrakhmanov also thanked his colleagues for supporting Kazakhstan’s presidency of the United Nations Security Council and efforts on Afghan security and the Syrian peace process. He also praised the council as a platform allowing discussion of diverse issues in an environment of equality. Abdrakhmanov told the gathering that, considering Afghanistan will hold parliamentary and presidential elections in 2018-2019, Kazakhstan supports the results of the Tashkent Ministerial Conference on Afghanistan and the Tajik government’s initiative to convene, in cooperation with the UN Office of Counter-Terrorism, a conference on combating terrorism and extremism in May in Dushanbe. Abdrakhmanov said such meetings help the CIS rapidly adapt to geopolitical and economic changes and praised Kazakh President Nursultan Nazarbayev for stressing the need to adapt to changing conditions. The meeting participants signed an agreement to hold 12 multi-level foreign ministerial meetings to discuss cooperation within the United Nations, the Organisation for Security and Cooperation in Europe and other multinational organisations. The group also signed draft agreements on security, including the fight against the illegal use of information technologies and the interstate programme of joint measures against crime for 2019-2023. Participants also discussed social and humanitarian cooperation and Turkmenistan’s proposal to declare 2021 a year of Architecture and Urban Development. The participants supported as well a Kyrgyz initiative to mark in 2018 the 90th anniversary of famous Kyrgyz writer Chingiz Aitmatov. They also signed an agreement on youth policy called 100 Ideas for the CIS and agreements on education programmes, including training for professionals working with tax and financial investigations. Russia was president of the council in 2017 and had proposed measures to improve the council’s efficiency, which will be now reviewed by the council of ministers and the economic council. Turkmenistan is the council’s 2018 president. On the sidelines of the meeting, participants were received by President of the Republic of Belarus Alexander Lukashenko. Minister Abdrakhmanov also held bilateral talks with the heads of the Azerbaijan delegation Khalaf Khalafov, and the Turkmenistan delegation Serdar Berdymukhammedov to discuss trade, economic and cultural-humanitarian cooperation, as well as preparations for the fifth Caspian Summit. The next council meeting will be in Dushanbe in the fall.